Pittsburgh Underground: Announcement: Mister Rogers 50th Anniversary Celebrated in a Stamp and MORE!!! Announcement: Mister Rogers 50th Anniversary Celebrated in a Stamp and MORE!!! It’s a beautiful day in the neighborhood indeed with this week commemorating what would have been the 90th birthday of Mister Fred Rogers! To honor Pittsburgh’s best and brightest hero, the U.S. 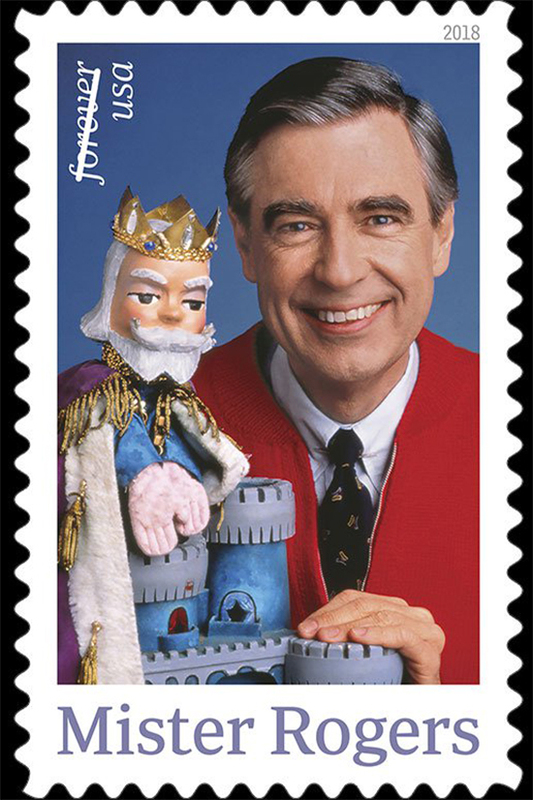 Postal Service is issuing forever stamps TODAY showcasing the gentle TV host in his trademark cardigan with King Friday at his side. Not only are we honoring Mister Rogers, but also his long loved children’s show Mister Rogers’ Neighborhood which celebrated it’s 50th anniversary on PBS this year. 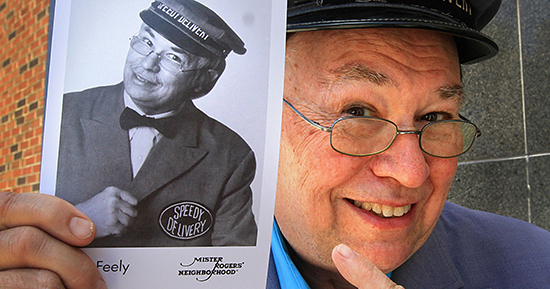 His legacy of kindness, love, and acceptance touched all his ‘television friends’ and especially those in the Pittsburgh region who were lucky enough to meet him in person. Pittsburgh's own WQED aired the first episode of Mister Rogers Neighborhood on February 19, 1968. A young Fred Rogers entered the living rooms of children to teach them about caring, kindness and the value of being true to yourself - a message he would continue to deliver over nearly 900 episodes and 33 years. 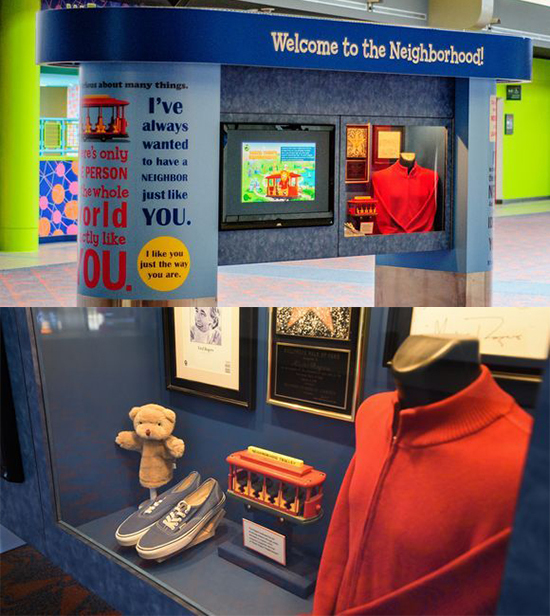 Mister Rogers is being honored in many ways this year, including the Pittsburgh International Airport where today travelers can view the Trolley and Daniel Striped Tiger from the Land of Make Believe along with his trademark red cardigan sweater and sneakers in a display that can be viewed in the Airside Terminal Center Core. Visitors can also share memories of Mister Rogers on a large chalkboard, have refreshments, and pick up free buttons and red shoelaces from employees wearing red cardigans. Also, travelers who want to pick up some of those forever stamps can do so at the post office in Concourse D.
Fans of the show can also visit the set of Mister Rogers Neighborhood by heading to the Heinz History Center in the Strip District. Mr. Rogers living room, King Friday’s Castle and the Great Oak Tree are just some of the familiar set pieces you can check out. If that isn’t enough, it was also recently announced that Tom Hanks will be portraying Fred Rogers in a new movie entitled You Are My Friend directed by Marielle Heller with the story largely focused on a reporter who is at a critical point in his life - becoming a new father, having issues with his own father and meeting Mr. Rogers to write a piece about him, thinking it’s going to be a bit of a puff piece, but it ends up changing his entire life. The story is still in the development stage, but great news for fans who can’t get enough of Mr. Rogers. Now that warmer weather is finally on the way, the gang from good ol’ PU encourages all of you to check out one of our favorite spots in the city, the Mister Rogers ‘Tribute to Children’ Monument located on the North Shore overlooking the Allegheny River at the former Bridge pier near Heinz Field. 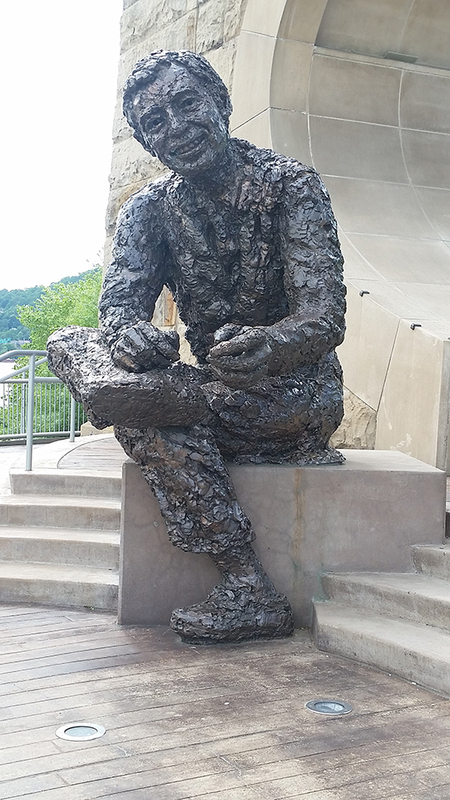 The 7,000-pound memorial, opened in 2009, showcases an 11-foot bronze statue of Mister Rogers sitting down and tying his sneakers, as he did at the beginning of each episode of his show that was created by the late sculptor Robert Berks whom Fred Rogers was an admirer of. The monument also features sound clips of Mister Rogers timeless wisdom allowing his words of kindness, encouragement, and understanding to live on. Trust us - if you’re ever feeling down, one trip to this Pittsburgh landmark will bring a smile to your soul to make you instantly feel better. For more on Mister Rogers, check out the Fred Rogers Company Website for news, merchandise, and wonderful memories of our favorite neighbor. FRED ROGERS' FRIDAY BONUS!!! Check out the wise words of Fred Rogers' below as he appeared before the United States Senate in 1969 to defend public television from budget cuts. President Richard Nixon had proposed slashing funding for programming such as Rogers’ in half as the war in Vietnam raged on. The world needs Mister Rogers now more than ever.